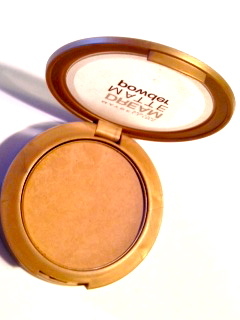 Maybelline Dream Matte Powder (Honey) I'd read about this product in many blogs and saw good reviews in MUA. I picked it up while at Target back in March and LOVE it. I've tried many face powders over the years, but this has honestly impressed me beyond words! Sits perfectly on the skin, does not looked caked on, I do have to reapply after 4-5 hours (I tend to have an oily t-zone) but it really does an amazing job. I used MAC Studio Fix Powder Foundation for years (I'm talking 10+ years!) and last year noticed how caked on it looked. I quickly said good bye to it and switched to MSFN-which I also like but would probably not repurchase. Whereas the Maybelline I will, for as long as it's available! I could go on and on and list many more recent loves....but it would probably turn into a short story! Has anyone tried either of these products? Any current favorites on your list, I should have a look at? I just absolutely love Wet&Wild products. They're so cheap but work so well. Hi Mara! I agree:) Lately drugstore makeup has been steppin' up their game! Which is great for my wallet!